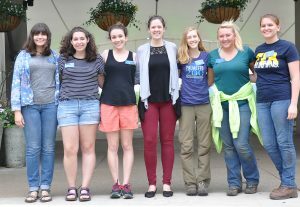 Last summer’s interns were (left to right) Heather Desorcie, Katie Lee, Gabrielle Stewart (education interns); Taylor Rowe (development intern); Lucy Rummier, Lauren Ebel, Hilary Snyder (horticulture interns). Not pictured: Graham Mills (arboriculture intern) and Deanna Homan (greenhouse intern). There are both paid and unpaid seasonal positions. The areas in which interns work include horticulture, arboriculture, nursery production, and children’s garden education. Intern positions in the Office of Physical Plant are posted on the volunteer opportunities page in the fall and interviews are conducted in January and February. 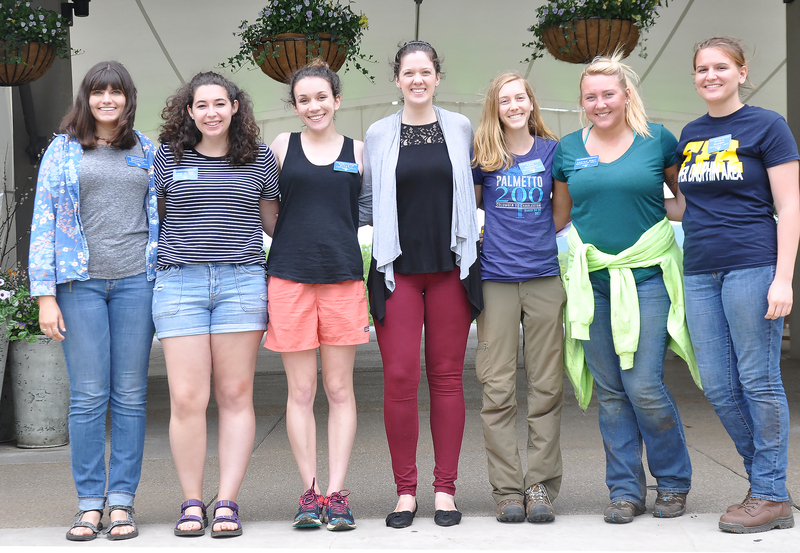 Children’s garden internships are posted in January or February and interviews are scheduled in March.